Just a reminder, Adrian Sutil, returning F1 driver for Force India, was found guilty of cutting a man in the neck with a broken champagne glass. The victim was Eric Lux, one of the founders of Genii group, which sponsors the Lotus (formerly Renault) F1 team. He had to receive 24 stitches. The incident took place after the 2011 Chinese Grand Prix in a Shanghai nightclub, because that’s the must-see place for celebrity stabbings. What, did you think the rich and famous would commit assault occasioning grievous bodily harm in some played-out shithole like Milan, Paris, or New York? Please, F1 is a global sport, and its drivers cut people in only the most exotic corners of the globe. 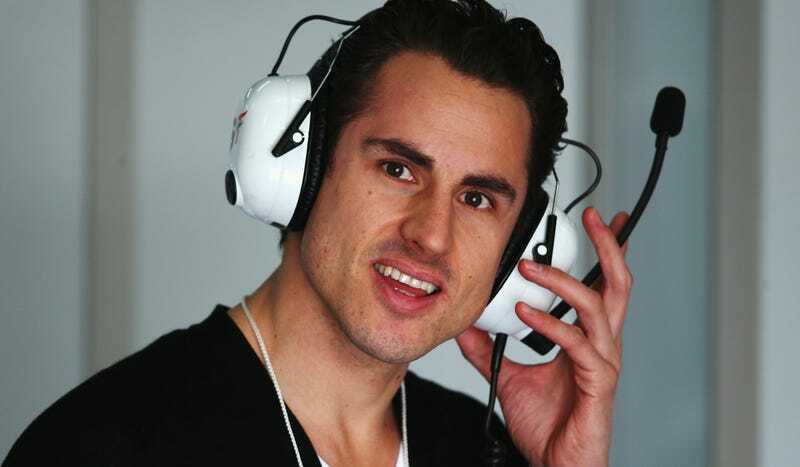 Sutil states that the attack was not intentional, and he was just trying to throw a drink in Lux’s face. He was charged to donate 200,000 Euros to charity and serve an 18-month suspended sentence. In conclusion, cutting a man with a broken champagne glass in a Chinese nightclub is the most stereotypically Formula One crime imaginable.